I would prefer Viswajyothi School, Angamaly to be called a home of happy students and staff rather than being identified only in terms of excellence or performance. The exemplary results of the Board Examinations create enthusiasm. The congenial surroundings make learning an enjoyable experience. Team work in every field boosts integrity and commitment. There are no unnecessary pressures to impede our progress. As a result of these, students grow up as good human beings, trying out best practices and who possess compassion, empathy, honesty, politeness and perseverance, the noble virtues of a genuine human being. 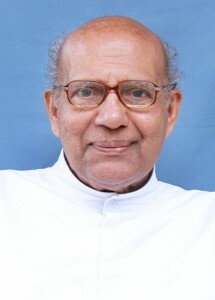 Our founder saint St. Kuriakose Alias Chavara had the vision that education is the main tool for the integral formation of a socially responsible person. His mission to spread this principle has been successful and we feel proud that Viswajyothi is one such prominent institution envisaged by him. The students contribute liberally to the Charitable activities. Forgetting the self but respecting the self is reflected in the charitable activities. In the academic as well as in the co-curricular activities the students prove their mettle and raise the school to unparalleled eminence. I praise Viswajyothi as the light of the world and hope that the radiant rays of this light will lead our students to a bright future.